Use a clear matrix material to allow light curing. Undercuts should be blocked out on the matrix or impression as well as the preparation and adjacent teeth. Prepared teeth and/or core may be lubricated with a separating medium such as Vaseline. After final cure, completely remove oxygen inhibition layer from the surface of the temporary restoration with alcohol. TEMPSMART was strong and resistant to chipping, even in thin areas. The working and setting times were ideal, and the option of light curing allowed the users to proceed at a faster pace, if desired. 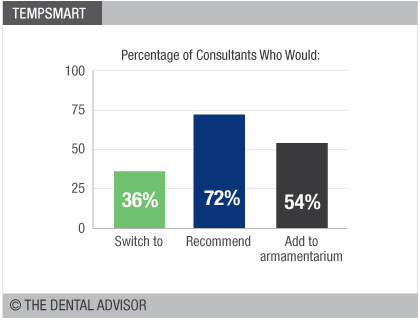 Although a separating medium was recommended, many consultants simply left the teeth moist with saliva and did not experience any sticking of the provisional material to the teeth or cores. 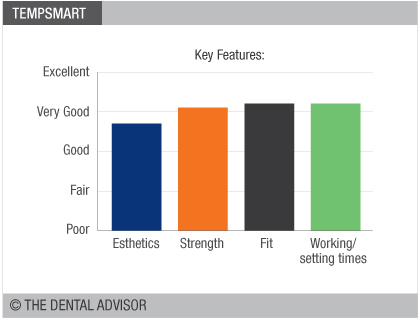 TEMPSMART when cured was slightly opaque, which should be considered when fabricating provisional restorations in the esthetic zone. The strength makes it ideal for bridges and long-term temporization. 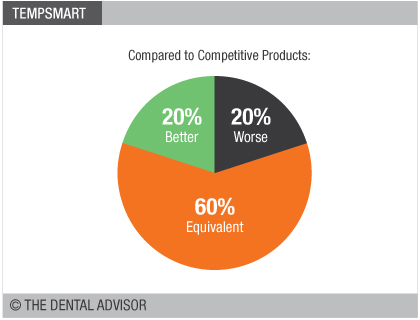 TEMPSMART is a dual-cured provisional material designed for strength, wear resistance, and a quick set time. It can be used in a lab-fabricated, thermoforming matrix or directly in an alginate or silicone impression. The temporary restoration can be fabricated in the mouth or on the model. TEMPSMART has a working time of 45 seconds and should be removed from the mouth within two minutes. It may be tack-cured for two seconds before removal. The restoration should be removed from the mouth for a final cure of 5 seconds for each unit. 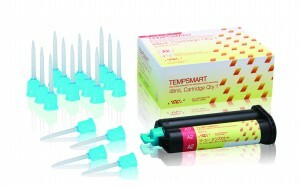 TEMPSMART is supplied in a 48 mL automix cartridge with 16 mixing tips, as well as a 10 mL cartridge syringe with 10 mixing tips. 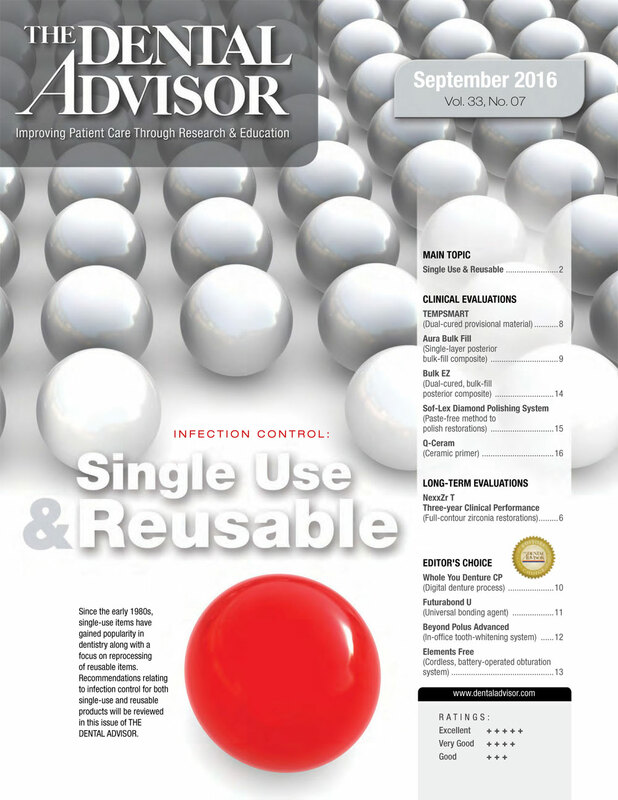 The A2 shade was evaluated by 25 consultants in 370 uses. This provisional material received an 86% clinical rating.